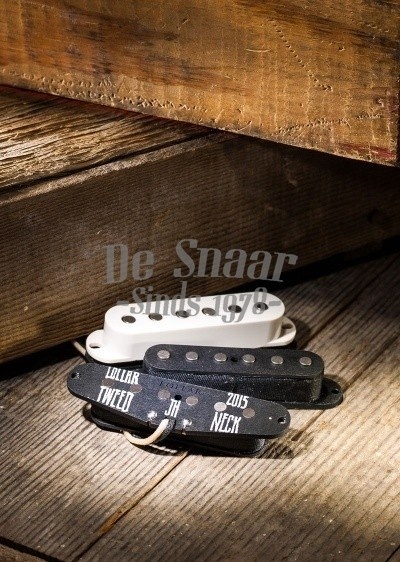 Lollar Strat Tweed pickups are super clean and emphasize that distinct Strat sound. Light on bass and midrange, you get lots of funky quack making it ideal for overdrives with extra mids, or for diming out a smaller amp. Even under heavy distortion your tone won't get too muddy. And its low output means most vintage amps won't distort more than a mild clipping. 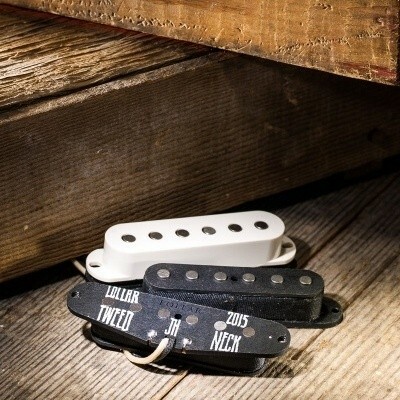 Includes Alnico 2 flat poles, scattered wound wax potted coils, and vintage style cloth covered lead wire. Middle is RWRP for humbucking operation in positions 2 and 4. DC: Neck 4.9K, middle 5.3K, and bridge 5.7K.